Some like to say that humans can’t face the challenges of climate change because the problem is planetary in scope. We at the Forum for the Academy and the Public think this catastrophe can and must be addressed immediately, locally and globally. That’s why we’re taking a wide-ranging and provocative look at this looming existential disaster at our 2019 conference, Fire and Ice: The Shifting Narrative of Climate Change. With the Trump Administration pulling out of the Paris accords and overturning hundreds of regulations on industrial waste and pollution, this conference could not be more timely. 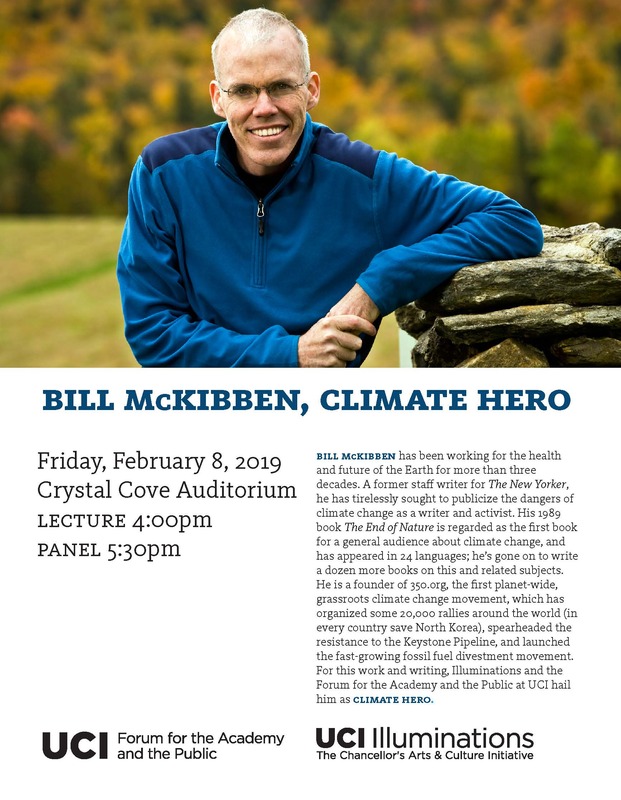 Legendary climate heroes and communicators Bill McKibben and Elizabeth Kolbert, as well as Nathaniel Rich of The New York Times, will join us to discuss why it’s so hard to alter the behaviors that exacerbate the problem and to talk about the importance of continuing to reach out and take action where we live and worldwide. We’ll have internationally-recognized scientists who study oceans, fires, and glaciers talk about climate change in their fields and what can be done at this point. We’ll look at what happens when countries move into industrial overdrive, as in China and India, or when they are caught up willy-nilly in climate change disasters, like so many countries in Africa. And in an attempt to offer context and a measure of necessary hope we will be hosting a panel of lawyers, environmentalists, economists, and activists to discuss climate justice and how to live sustainably.